In food processing, the highest quality and hygiene standards must be maintained. With people’s lives and the earth’s future at stake, every step must be taken to ensure the welfare of the public and the environment. This puts a lot of pressure on employees to perform at their best, which is why many of your competitors are investing in their worker’s best interests. Specializing in personalized hearing protection, Custom Protect Ear (CPE) has helped many food processing operations, including Weston Bakeries, Maidstone Bakeries, Barry Callebaut Canada Inc., PepsiCo and Cott Beverage, overcome their performance limitations and safety concern for many years. From the very start, we assess the noise levels and working conditions each person faces. Then we determine the best protectors for the individual and make appropriate recommendations for optimal productivity, proaction, and comfort. Matching the level of protection to the level of noise allows your workers to hear warning sounds and back-up alarms, and even communicate interpersonally and by radio without removing their protectors, While still remianing protected. We also ensure that protection continues to function under freezer temperatures down to -20C (-4F) by choosing better materials for stronger cords that don’t get brittle and break in the cold. 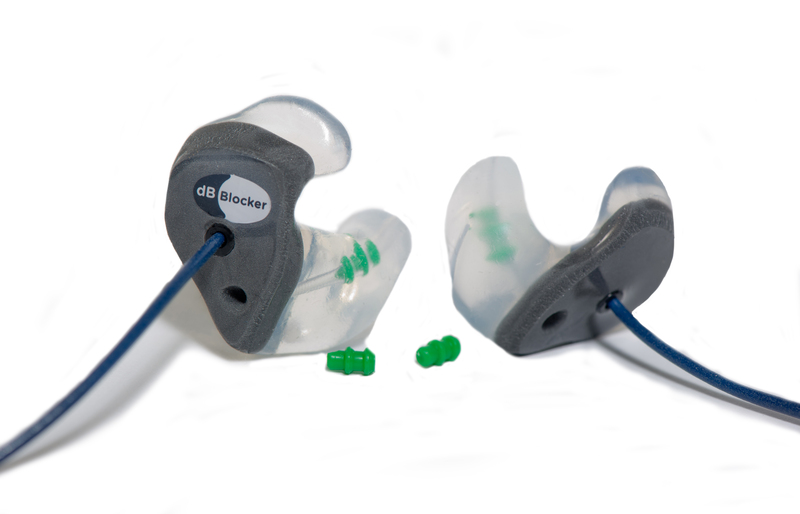 To help your workers adhere to stringent quality and hygiene standard, our hearing protectors are make of SkinSoft medical grade silicone and are hypoallergenic, washable, and non-porous so they don’t breed contaminants. They’re available as metal detectable, making them easy to retrieve if they get dropped in a batch being made. If they get lost, they’re easily replaceable as the custom moulding taken during fitting is retained for five years. And being custom fit, they’re not disposable, so they’re cheaper to use. 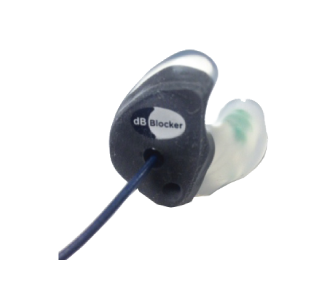 With your workers’ hearing properly protected by dB Blockers, you can rise above all these challenges, enabling your workers to perform even more effectively. Custom Protect Ear understands the highest quality and hygiene standards must be maintained in the food industry – so we have developed a Metal Detectable product that can be permanently attached to the wearer. The highest degree of protection in all frequencies. Should also be used where high air movement would create wind noise in the vent. The Classic Metal Detectable dB Blocker with permanent attachment is ideal for those working in the Food Industry. A vented and filtered protector with a permanent attachment for situations where interpersonal conversation in noise is required. The Classic Metal Detectable dB Blocker with permanent attachment is ideal for those working in the Food Industry.